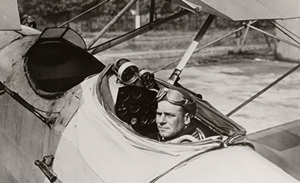 The 1920s and 1930s were formative decades in aviation on many levels. 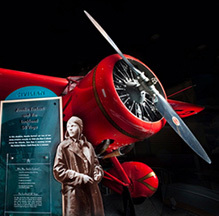 Flight technology rapidly advanced, military and civilian aviation grew tremendously, record-setting and racing captured headlines and public interest, and African Americans began to breach the social barriers of flight. 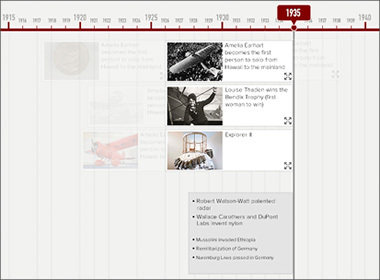 The interwar period also witnessed the birth of modern rocketry. 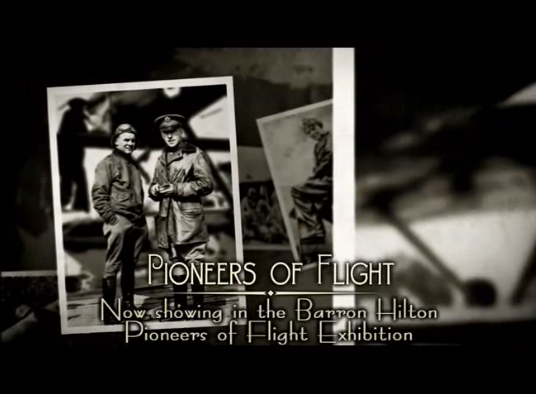 The Barron Hilton Pioneers of Flight Gallery highlights this exciting era with an eclectic collection of aircraft and other objects. A common theme unites them. All are connected with people who pushed the existing technological or social limits of flight during the early decades of the 20th century. Each aircraft or exhibit represents an unprecedented feat, a barrier overcome, a pioneering step. New technologies allowed pilots to fly farther, faster, higher, and easier. 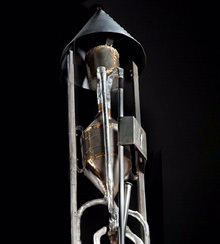 At the same time, rocketry was moving from the realm of science fiction to reality. The 1920s and '30s were a time of "air-mindedness" — a movement that promoted the airplane and the new air age. The aircraft and rockets in this exhibition were record setters and groudbreakers. Browse our media gallery to see images and objects from this exhibition. During the 1920s and '30s American pilots flew across an ocean, a continent, and around the globe for the first time, shrinking the concepts of time and distance. Put yourself in the cockpit! 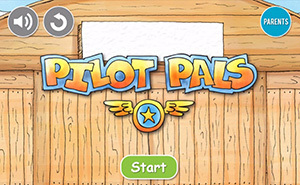 Find out what it was like to be a pioneer of flight with one of our interactive games.